Beautiful projects Heather! 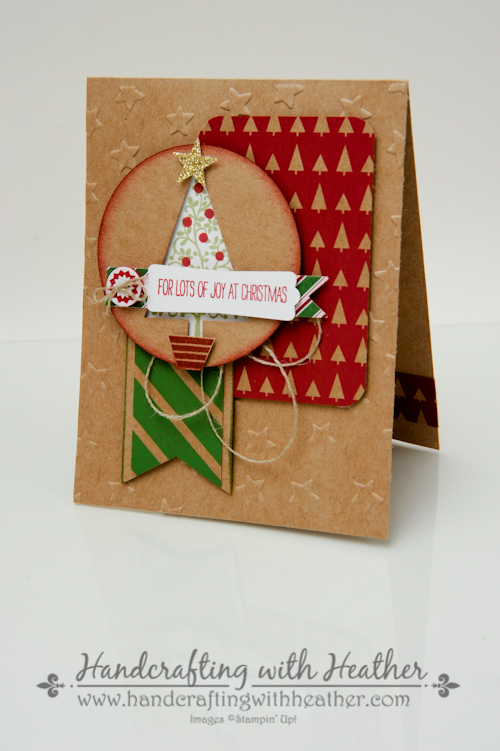 Love that Kraft card stock, perfect for the holidays!! Great box and card combo. Very cute! I used SU to make a set of Christmas cards for my mom’s November b-day. Ornamental Pine, Gentle Peace and Good Greetings. She loved them! Love the combination of card with matching gift box. What a gorgeous way to dress up a candle! All the little details you added to the box band and the card really make it fabulous. I love to make tags with kraft and white with a little pop of color. Thanks for the chance to win. Beautifult projects! 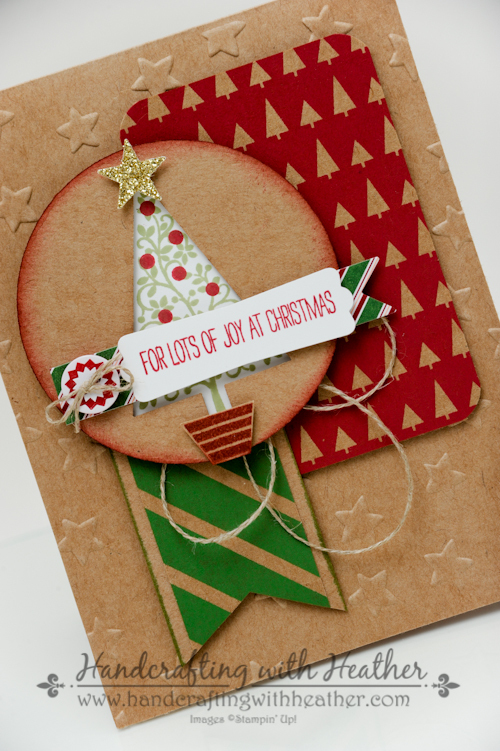 I love the look of kraft paper! Darling card and box. I love boxes of any shape. 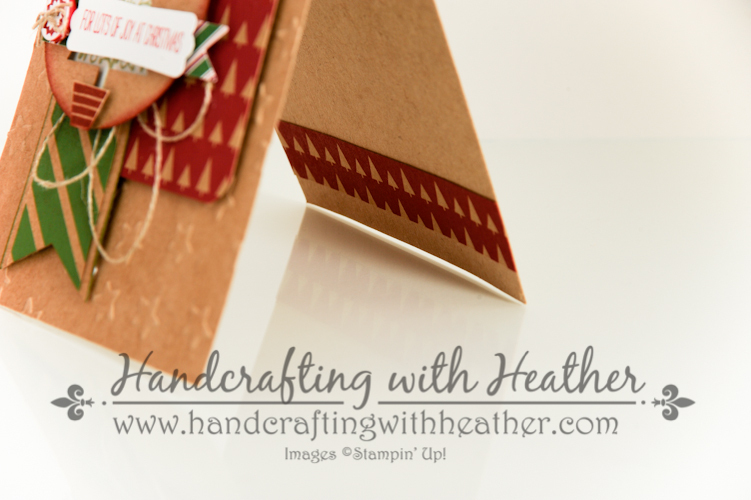 My favorite use of Stampin Up products is 3-D products to make party favors. This is such a cute idea! Like the country holiday. So very festive! I love the fresh look with the traditional color combo! Awesome card and project. Love the use of kraft paper. Very nicely done! Very cute! Love the box and the paper you used. Great card and box, Heather! How very clever you were to use the punch board to make that box! Love it! And the card is beautiful! Thank you! Love the combination of kraft, red and green for the holidays. Thanks for explaining how you put the stamped image between the 2 kraft circles and the tree stand on top. I enjoy learning all the different ways to use my punches and stamps! Thanks! Really nice coordinating card and box. Love the traditional Christmas colors! I love using the punches and dies to make tags for my gifts. Depending on the wrapping paper I use, I can make sure I match the tag to it. I love how your box came out. The colors and tag on top look wonderful. Thanks for sharing. I think my favorite way to use the products for Christmas is for cards. There are so many things you can do. The card and box are precious! 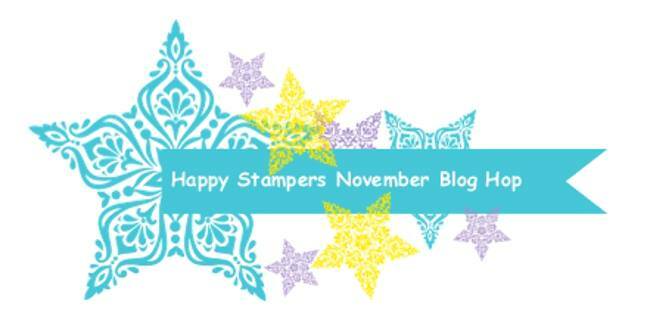 Now this is my second Christmas with Stampin Up products. Feel that I am a novice at card making still. What I love most is making special cards for special people in my life. My problem is learning how much I can put on a card and still be able to mail it without trouble. Sadly, my moms Mothers Day Card never arrived when mailed. Don’t know what happened to it. But anyway I keep trying just the same. What a fun box and card. There are so many cute cards to be made with this bundle! Perfect for the holidays! Your card and box are amazing. I just love the colors you chose. All the special finishing touches you added to them really make them super special. Someone is really going to like that gift! Simply gorgeous duo! Love what you’ve done! 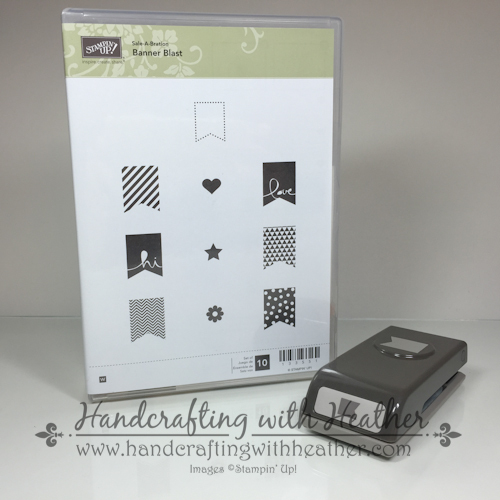 I love to use Stampin Up products for cards. But this year I am loving playing with the Curvy Keepsake Box to make fun treat boxes in lots of different themes.